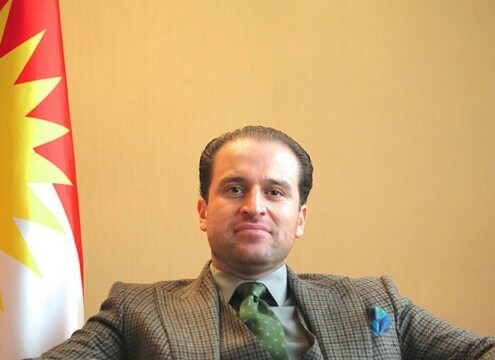 Erbil, Kurdistan Region of Iraq (MNR.KRG.org) – The KRG Minister of Natural Resources, Ashti Hawrami, commented today on the Iraqi federal government’s petition to a US court to seize crude oil produced in the Kurdistan Region. “The KRG’s lawyers sent a letter to a court in Texas to explain the misrepresentations of the Iraqi federal government. The Iraqi federal government has petitioned a Texas court for an order to seize crude oil legally produced, exported, and sold by the KRG in accordance with the Iraqi constitution and law. The letter indicates the possibility of massive counterclaims against the federal government,” said Minister Hawrami. “The federal government of Iraq is trying to achieve in foreign courts and in the Iraqi supreme court what is denied to the federal government by the Iraqi constitution. The federal government cannot win, because our crude is legally produced, shipped, exported, and sold in accordance with the rights of the Kurdistan Region as set forth in the Iraqi constitution,” continued Minister Hawrami. “Our claims for unpaid compensation, which must be paid as provided in the Iraqi constitution and the law, will also be before any foreign court in which the federal government is seeking to attack us,” Minister Hawrami continued. Click here to view the letter sent to the federal court in Texas. ( www.krp.org ) President Masoud Barzani received a United Nations delegation today in Erbil headed by the Secretary General, Mr. Ban Ki-moon. The delegation consisted of several UN officials who were accompanying the Secretary-General in their visit to the Kurdistan Region following the latest political and security issues in Iraq, which have led to the fleeing of tens of thousands of Iraq Arabs to the Kurdistan Region. Mr. Ban Ki-moon took the opportunity to thank President Barzani and the Kurdistan Regional Government for their role in providing security for the displaced Iraqis who have found in the Kurdistan Region a secure refuge in the recent weeks. Mr. Ban Ki-moon added that the Kurdistan Region’s response to the current crisis in Iraq is especially appreciated given the fact that there already were large numbers of Syrian refugees in Kurdistan. President Barzani repeated his stance of Kurdistan Region’s readiness to continue and provide aid to the families fleeing from the chaos of the rest of Iraq, adding that he hopes for a better and more peaceful future for Iraq and the Kurdistan Region. President Barzani and Secretary-General Ban Ki-moon concluded their meeting in Erbil with a press conference where the two expressed their views on the current situation in Iraq to local, national and international journalists. Veteran Kurdish politician Fuad Masum was voted the 7th Iraqi President yesterday by parliament. President Masum will be replacing Jalal Talabani who suffered a stroke last year and has just returned to Kurdistan after spending over a year in Germany receiving treatment. Like Jalal Talabani, Fuad Masum hails from the Patriotic Union of Kurdistan and has been a Member of Parliament in Baghdad since 2005. He also served as the first Speaker of Parliament in Baghdad during the provisional Iraqi government after the fall of Saddam Hussein. He also served as the first Prime Minister of the Kurdistan Region some two decades ago. President Masum received an overwhelming majority of the votes in parliament as 211 MP’s voted in his favor. He steps into this position at a difficult time as many parts of the country have been taken over in recent months by terrorist group ISIS (Islamic State of Iraq and Syria) and Iraq’s political and sectarian problems seem to have deepened. 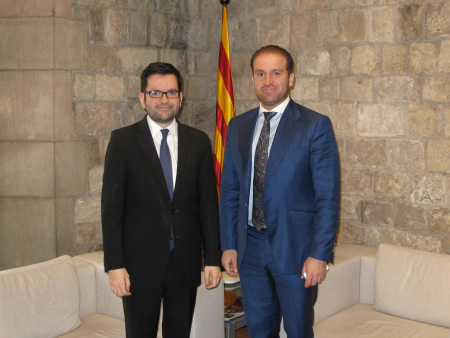 The Kurdistan Regional Government Representative to Spain, Daban Shadala, has just completed a trip to Catalonia where he visited a number of Catalan government officials as well as parliamentarians & members of leading political parties. Mr. Shadala visited the region in order to discuss the recent motion that was brought to parliament regarding the Kurdish right to self-determination on the 10th of July. The majority of parliament voted against the right to Kurdish self-determination and Mr. Shadala’s top priority was to get a clearer picture of the recent event. The right of the Palestinians and Sahrawis to self-determination was also voted out of favor. Mr. Shadala held a meeting with the Secretary of Foreign and European Union Affairs of the Catalan Government, Mr. Roger Albinyana. The office of the president of the Catalan Government today released a statement after their meeting to clarify the position of the Catalan Government with regards to the Kurdish right to self-determination. The statement declared that the Catalan Government “considers the political future of the Iraqi Kurds as something that can only be decided by the Kurds via democratic and legitimate mechanisms.” Although parliament voted against the Kurdish right to self-determination, the government’s position is supportive of the Kurdish right to determine their own future. He further articulated that the Catalan people have “always maintained a keen interest in the situation of the Kurds, and have always shown their solidarity with them especially in moments of hardship”. He went on to add that the motion was weak, and that it should never have been brought into parliament. Mr. Shadala expressed his concern at the fact that this motion was even held in the first place, and told Mr. Albinyana that “Kurds are very unhappy and are waiting for answers”. Mr. Shadala also met with Sara Vilà who is a Member of Parliament for the Initiative for Catalan Greens and is also the MP who brought the motion into parliament. She explained that she assumed parliament would support the motion and the right of the Kurds to self-determination, she was hoping to see a majority in favor of the motion, however the result was quite different to what she had predicted. A number of Catalan MP’s had advised her not bring the motion of forward and not to put all three in the same motion. Partido Poplar MP Daniel Serrano told Mr. Shadala that “we respect the Kurdish cause and we follow it with great attention”. Mr. Shadala also met with the Secretary for International Relations of the Democratic Convergence of Catalonia, Mr. Victor Terradellas I Marè. He informed Mr. Shadala of their disappointment with what had happened and stated that the motion shouldn’t have been brought to parliament.He also voiced the same opinion as many others with whom Mr. Shadala had met, that “the Catalan people have always, and will continue to, support the Kurds”. KRG Prime Minister Nechirvan Barzani has issued a statement regarding the mass exodus of Christian families from the city of Mosul. He has called upon the people of Kurdistan to help these families, as well as urging the international community to provide emergency aid and relief to the people who were forced to flee the city of Mosul due to intimidation and threats issued by the armed terrorist groups. The terrorists placed deplorable threats throughout the city of Mosul, ordering Christian families to leave the city by noon today. Following the seizure of the city of Mosul by armed terrorist groups, the Christians of Mosul have been subjected to continuous threats. Tragically, over the past few days, Christians have been threatened with mass murder and have been forced to leave the city of Mosul in a mass exodus. They have come towards Erbil and Duhok without being allowed to take any of their belongings or necessities. In the face of this humanitarian catastrophe, the Kurdistan Regional Government is intensifying its efforts and its capacity to assist the displaced. At the same time we call upon the people of the Kurdistan Region in general, and the generous people of Erbil and Duhok in particular, to provide all that they can in terms of aid and assistance to the displaced Christian families. The Kurdish people enjoy good relations with their Christian brothers and sisters as well as all other ethnic and religious groups, and we are proud to protect the diversity that exists in Kurdistan. This diversity and culture of tolerance have been effective over the past few years in our society. The people of Kurdistan now must also provide assistance to the Christian families that have been forced to flee their homes and abandon their property and belongings. The Kurdistan Regional Government, in full coordination with the Office of the United Nations High Commission for Refugees (UNCHR), has assisted hundreds of thousands of refugees and displaced people who have found refuge in the Kurdistan Region. However, the number of refugees and displaced people is increasing each day. The Iraqi Government, which has cut the Kurdistan Region’s share of the national budget, has at the same time refused to bear any responsibility for the internally displaced people who are now sheltered in the Kurdistan Region. Due to these circumstances and the dire economic situation that the Iraqi Government has caused in the Kurdistan Region, we call upon countries, charitable organisations, and the international community in general to provide refugees and internally displaced people in the Kurdistan Region with relief. We call for support and assistance to the Kurdistan Regional Government in order to better provide relief to the affected families. KRG Spain office attends seminar on Iraq’s current situation in think tank “Real Insituto Elcano”. The KRG Spain office attended a seminar held by the Real Institute Elcano last week at the Fine Arts Centre. The seminar was centered on current developments in Iraq with particular attention given to the ISIS spearheaded Sunni insurgency that has swept the country and seen a number of major cities fall into the hands of the insurgents. The seminar was moderated by Charles Powell, Elcano’s director, and involved three key researchers of the think tank, Haziam Amirah Fernandez, Felix Arteaga and Gonzalo Escribano. The levels of analysis provided were from three angles, national, regional and global. According to Haziam Amirah Fernandez’s analysis, the blame lay on US policy towards Iraq & the sectarian policies of Nouri Al Maliki’s government which Fernandez argued created the fertile grounds for an insurgency. Fernandez criticised the lack of political consensus in Iraq and the exclusion of ethnic and religious groups from the political process, which is key to governing such a diverse country successfully. Fernandez also complained at the lack of response from the international community to the ongoing crisis in Iraq. Felix Arteaga spoke of the potential consequences of the conflict on the Europena Union and Spain and predicted three outcomes for Iraq. First, Prime Minister Al Maliki leaves office at the request of many in Iraq’s political arena. Second, Iraq divided into three separate independent entities and lastly international intervention to help the Iraqi’s regain control of lost territory. Energy director of Elcano Gozalo Escribano provided an insight into the affect the conflict would have on the energy sector. He stated that Spain’s oil imports from Iraq have reduced to 3% from 7% some years ago. He put confirmed that oil prices have stabilised after an initial rise in prices just have the news of the conflict hit the markets, but had not had a serious effect on production. The seminar provided a comprehensive insight into the current situation and an interesting analysis of how the conflict developed over a period of time. The seminar was attended by the KRG Spain office and the Embassy of Iraq in Spain among other guests. We, as the KRG will continue to support the political process and will remain committed to Iraq as long as it remains democratic and is able to provide security to the country. We will also continue to provide relief to those who have been affected by the turmoil and who seek refuge in the Kurdistan Region. There is currently an on-going debate regarding a referendum for Kurdish independence, the outcome of which will be left to the people to decide under a democratic mechanism that we support whatever their choice should be, it is their democratic right to determine their future. Under Article 112, the KRG is entitled to 17% of all proceeds from oil sales by the Federal Oil Ministry and the State Oil Marketing Organisation (SOMO) (or any other division of the Iraqi federal government). The KRG has the right, in circumstances where the Iraqi federal government is not sharing revenues in accordance with the Iraqi Constitution, to take such action as the KRG considers appropriate to obtain all entitlements the Iraqi federal government is required to pay to the KRG under the Iraqi Constitution. This right is reflected in Kurdistan law. Since at least 2005, the Federal Oil Ministry has failed to comply with its constitutional and legal duties to the KRG, including under Article 112. The Federal Oil Ministry and SOMO continue to sell and to seek to sell oil, gas and other petroleum products to third parties, and to retain the full proceeds of such sales, all in violation of the KRG’s express constitutional and legal rights, and without the participation or approval of the KRG. In these circumstances, and until further notice, Article 112 legally precludes the Federal Oil Ministry and SOMO (or any other division of the Iraqi federal government) from selling oil from Iraq without the approval of the Kurdistan Region, as a producing Region. Oil sales by the Federal Oil Ministry, SOMO, or any other division of the Iraqi federal government are therefore in violation of the Iraqi Constitution and international law, and may be outside the scope of their authority. The KRG notifies all persons that have purchased or may purchase oil or gas from any division of the Iraqi federal government, including the Federal Oil Ministry or SOMO, that the KRG will consider such buyers and those who have facilitated shipments on their behalf or on behalf of SOMO as colluding in, supporting, or facilitating violations of the KRG’s rights (including under the Iraqi Constitution and/or international law), unless such buyers pay the KRG 17% of the purchase price, reflecting the share to which the KRG is legally entitled. Buyers who fail to make such payments to the KRG will be facilitating the Iraqi federal government’s breach of the KRG’s rights and passing to the Iraqi federal government monies that rightfully belong to the KRG. Such buyers will also run the risk of paying funds to the Iraqi federal government pursuant to arrangements that may be outside the authority of the Iraqi federal government under the Iraqi constitution. The KRG will take such legal action against buyers of oil from the Federal Oil Ministry and SOMO (or any other division of the Iraqi federal government) as may be necessary to protect the KRG’s constitutional and legal rights. The University of Santiago de Compostela from Galicia, Spain, which proposed a new initiative called Marhaba under the Erasmus Mundus scheme, has had the budget approved for the project to go ahead. Marhaba will cover the Middle East and will therefore be accepting students from a variety of universities across the region. Four universities from the Kurdistan Region of Iraq have been allocated a number of places for students to study in Santiago de Compostela University and a number of other universities across Europe. These universities include: Slemani University, Koya University, Raparin University, and Halabja University. A total number of forty one places have been designated to universities from the Kurdistan Region which will offer the opportunity for Kurdish students to participate in mobility programs and study postgraduate courses in a network of European universities. The project also offers post-doctoral and especially tailored programs for university teachers. Marhaba, which will be officially inaugurated in October, will run for a total of four years. This is very encouraging news for the Kurdistan Region and is a direct result of the visit of a delegation of University rectors from Kurdistan who visited Spain last year. The KRG Spain office facilitated this initiative and helped kick start the process when it was in its early phases. A high level delegation this week met United States government officials, including the Vice President and Secretary of State, as well as foreign policy experts, think tanks, business leaders, non-governmental organisations, and the media to discuss the crisis sweeping Iraq. Dr Fuad Hussein, Chief of Staff to President Masoud Barzani, and Minister Falah Mustafa, Head of the KRG Department of Foreign Relations, met Vice President Joe Biden and Secretary of State John Kerry during their five-day visit to Washington which concluded on 4 July. The focus of their discussions was the catastrophic progress of the Islamic State of Iraq and al-Sham (ISIS) terrorist organisation across swathes of central Iraq and the threat it poses to Kurdistan, Iraq, as well as to neighbouring countries. On Thursday afternoon, the delegation met with the National Security Council (NSC) to discuss the future of Kurdistan and the rest of Iraq. Tony Blinken, deputy NSC advisor to President Barack Obama, Phil Gordon, special assistant to the President and White House coordinator for the Middle East, and other members of the NSC team participated in the meeting. Vice President Biden joined the meeting later to convey President Obama’s message on the security situation in Iraq and to pledge continued support for the people of Kurdistan. During the meeting the delegation and Vice President Biden discussed the latest political and security developments in Iraq following the advances of ISIS in Mosul and other areas in Iraq. Dr Hussein reiterated the Kurdistan Regional Government’s gratitude to the government and people of the United States for their sacrifices and continued support for Iraq. He also outlined the various stages in the political process over the past decade in Iraq and noted that Kurdistan’s allies had failed to adhere to the Constitution and implement subsequent agreements. The Chief of Staff to President Barzani added that the Kurdistan Region has demonstrated great flexibility and has always been ready to address issues under contention, but the situation has recently deteriorated and there has been a collective failure to resolve them. Vice President Biden focused on the urgency for Iraqis to rid the country of ISIS and other terrorist organisations. The Vice President added that the US administration is closely following events in Iraq and is concerned at the spread and strengthening of terrorism in Iraq. He also expressed his country’s support for a new, inclusive government in Baghdad which would represent all components of Iraqi society. A day earlier, the delegation met Secretary of State Kerry at the State Department where both sides exchanged ideas on combating the rise of extremism in the region, strengthening KRG-US government cooperation, and the KRG leadership’s plans to secure the future of the Kurdistan Region in the new era following the collapse of the Iraqi security forces in the face of ISIS’s take-over of Mosul. The delegation said that the KRG is looking to the United States for assistance and support in dealing with the humanitarian crisis and the rising number of refugees and internally displaced people (IDPs) who have fled to the region, as well as support in handling the security crisis following the expansion of ISIS. During both meetings, Vice President Biden and Secretary Kerry said it was crucial that President Barzani continues his leadership role in the Iraqi political process and added that if there were progress politically, the United States would assist Iraq in its fight against terrorism. The Kurdistan delegation and senior US administration figures emphasised the need for a political solution prior to a military resolution of the crisis. Dr Hussein and Minister Bakir also met Assistant Secretary Anne C Richard, Bureau of Population, Refugees, and Migration, to discuss the humanitarian crisis and ways in which the United States can help to alleviate some of the pressure on the KRG’s already-stretched resources. The delegation said that internal sectarian tensions are dividing Iraq, while the crisis in Syria continues to feed instability in the region. As a result, the Kurdistan Region has received close to a million refugees and Iraqi IDPs fleeing violence. This has stretched the KRG’s resources, especially considering the federal government in Baghdad has not shared revenues with the Kurdistan Region for over six months. Mrs Richard praised the Kurdish leadership for being receptive and generous to the needs of refugees and IDPs. “I have always appreciated the KRG’s openness to taking in such displaced people in the midst of chaos and people fleeing violence,” she said. The assistant secretary pledged support through US aid agencies and other international organisations operating in the Kurdistan Region. During the visit, the delegation also met with members of congress, national security staff, as well as diplomats. Dr Hussein and Minister Mustafa spent some time meeting with Senator Blunt of Missouri to discuss the latest developments and to urge the senator to help overcome the challenges facing Kurdistan. 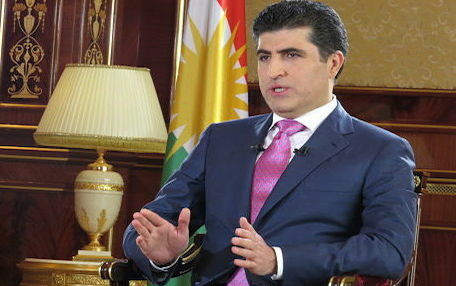 The senator said he “intends to be helpful to the Kurdistan Region” during these challenging times. The delegation also carried out several public and roundtable discussions with foreign policy experts as well as interviews with various US and international media outlets. Dr Hussein and Minister Mustafa were received at Washington’s Dulles Airport by Deputy Assistant Secretary Thomas Warrick from the Department of Homeland Security and Acting Deputy Assistant Secretary Anthony Godfrey from the State Department upon their arrival.